Remove or cover a brand? A friend of mine got branded very early in what is now a failed relationship. She wants to be rid of it in some fashion. Here is the situation. The brand is a letter, about 4″ high by 2.5″ wide. It is a keloid about a half inch across, raised about an 1/8″. It s just a year old. It still itches every day. She wants a covering tattoo yesterday at the latest. One concern I have is that if it is itching, it is still healing and not yet completely stable. I have seen some folks say wait a year, others say two years. Also, I am encouraging her to consult with a plastic surgeon to see if it might be at least reduced. Any thoughts on keloid reduction/elimination? She has an older keloid that she finally gave up on and tatted over. She is happy with that result. That’s a very difficult call without a picture of the branding and the exact extent of the scar tissue. I would most likely suggest that they seek a doctor who can administer steroid injections to reduce the raised effect of the scar before getting it tattooed. Alternatively they can also massage pure vitamin E oil into the area as a daily routine to soften up the raised tissue and return it to a more normal colour. Itching the scar will also make the situation worse as it will just make the scar raise and itch even more! I think perhaps the first step would be to chat to the prospective tattoo artist first and see what they think about the design choice, placement and height of the scar. Many experienced artists will be able to work around nearly any kind of scar to give a lovely end result. I have had my tattoo for over a year and a half now. It is on my right foot. the heart part of it is still raised. when my skin gets super dry i feel like it contracts and my skin burns where the tattoo is still raised. So i put lots of lotion on it and then the next day it feels sort of scabby is there something wrong with it should i do something about it? should i be concerned? When a tattoo is done, the skin is ‘opened’ and the ink is put in. The end result of this is the tattoo pigment healing under the skin, however it also results in a small amount of scar tissue to form. When a tattoo is done ‘too deep’ or over worked, often this scar tissue will be more than normal and can often cause the lines to appear blurry or blown-out. As with any scar tissue, it will often raise when you are warm and can often become itchy too. Make sure that you aren’t scratching or irritating it, to relieve the itchyness. This will often ‘open up’ the skin and cause it to become scabby and irritated for a few days. You could also try massaging the raised bit with pure vitamin E oil, to try and soften the scar tissue and allow it to slowly turn back to ‘normal’. This tattoo was done in Jan of this year 2011 and is well healed by now but I’ve noticed whenever I’m in the shower and it’s in contact with hot water or steam it gets irritated and the lines raise and it becomes very itchy. The artist who did it wasn’t he best and I have a blowout from it now so could that be something to do with it? I have another tattoo done about a month ago and there’s no such reaction. I just want to know what this is caused by and should I be worried about it. As with any scar tissue, it will often raise when you are warm and can often become itchy too. You could try rubbing pure vitamin E oil onto the area to soften the scar tissue up, but most importantly make sure you don’t scratch it or it will often just get worse. I’m extremely interested in getting a fully white ink tattoo–just some simple writing–but I’ve read about the consequences of not having a good artist that has extensively worked with white ink. I was curious if anyone could help me out with finding a good artist in the New Jersey (preferably), New York, or Pennsylvania areas? I don’t mind about the cost, simply the quality. Coming from someone with quite a lot of white work, the main thing that I would suggest to do is to keep the design as simple as you can. Make sure that you get an artist that has experience with white line-work (or lettering) so that they know to use disposable tubes and don’t discolour the ink. I suggest to first call into a couple studios and ask to see the artists white-work portfolio pictures, if they don’t have any - simply ask them if they know of any other artists near by that do. You can also start your search using our official BME artist directory. quick one people. Did someone know the name of this script? As a font connoisseur, this looks like an artist redrawn version of Jellyka Castle’s Queen font. I’m looking for a good place for english -> traditional chinese translation for a tattoo. Not sure where to ask for this but since I’ve seen so many great hanji/kanji tattoos here, I thought I’d ask, nothing to lose ! Find yourself someone who actually writes and speaks the language, Then find yourself another person that can confirm what has been written for you. If you live near a college or university there is usually a language studies program with professors and students that might be able to help you out. We can’t really give quotes through BME, as we are a community site and not a tattoo studio. I would suggest to check out a couple local studios, specifically asking them for artists that do lots of smooth black and grey work. Ask to see their portfolios and make sure you are 100% happy with their work. Next step would be to give them a large print off of your design and tell them they can make any alterations they need to, to make it more tattooable. Personally I would suggest to make the skull bigger (to get all the detail in) and either simplify or open up the background, to really let the foreground stand out more. Trust in your artist and take their word as gospel. If you came into my studio and asked for this, I would suggest it around A4 size to ensure that it looks fantastic and won’t fade - however different artists may feel comfortable doing it smaller (and simpler) or may want to do it bigger. 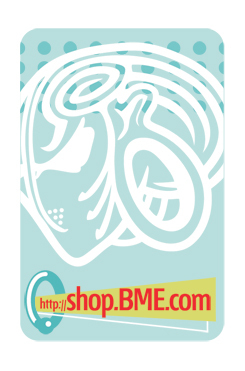 If you are looking for a list of local studios, check out our own searchable Artist Directory 411.bmezine!